If you use Drupal's content management system, follow these steps to add the Zopim widget to your site. Log into your Drupal account. 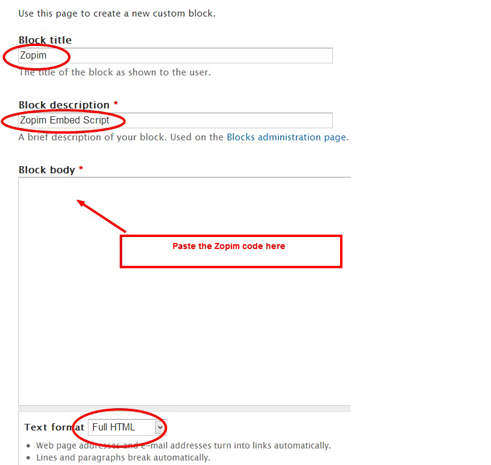 Give your block a title and description, then paste your Zopim embed code into the Block body field. Next to Text format, select Full HTML. Refresh your site to make the changes appear.